My coaching plans are customized to each individual based on their ability, health, time, strengths, weakness, etc. and I work with those just starting out with things to elite athletes. Cycling programs, road & MTB for both single day multi day events and I'm certified with USA Cycling. 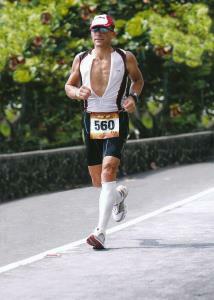 Racing since 1982, I have completed 100+ races competing in all distances from sprint to Ironman. Focusing on IM + 70.3 since 2006, I have now completed 25+ Ironman, winning my age group four times and qualifying for the Ironman World Championships five times. I also have qualified and competed in the 70.3 World Championships. I have experienced picture perfect races and have also felt the agony of defeat, so I am well versed on what to expect during training and race day from the physical and mental aspects, to a variety of environmental conditions. Success. Coach Ron Wally has been notified of your message. To hire Ron Wally as your coach, select the coaching service that is right for you.